Home / news / opinion / Mary Jane Veloso recruiter lives in barong-barong (shanty)? 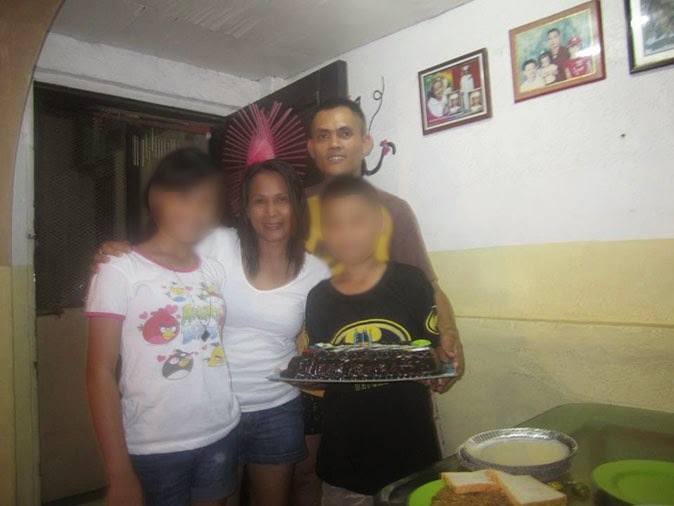 Sergio, also known as Mary Cristine Gulles Pasadilla, allegedly recruited Veloso to work as domestic helper in Indonesia. She was accused as the one who gave the 30-year-old overseas Filipino worker (OFW) the suitcase containing 2.6 kilograms of heroin. Veloso was sentenced to death in 2010 on charges of drug smuggling. On Wednesday, April 29, she was spared from execution by firing squad after President Benigno Aquino III made a last-minute plea, having for a reason Sergio's voluntary surrender to authorities. Last Tuesday, Sergio and her live-in partner Jonathan Lacanilao turned themselves over to the Nueva Ecija police for protection, as they were allegedly receiving death threats through text and social media. Malacañang reportedly said the President's last-ditch effort to save Veloso from execution was brought about by the justice department's input that vital information may be obtained from Sergio, which could lead to details about the alleged drug syndicate behind the contraband Veloso was carrying from Malaysia to Indonesia. The National Bureau of Investigation (NBI) already filed charges of illegal recruitment, human trafficking, and estafa against Veloso and two others. A preliminary investigation on the cases involving Sergio and her companions was reportedly set by the Department of Justice (DoJ) on May 8 and 14. On Wednesday, Sergio and Lacanilao were transferred from Nueva Ecija to Camp Crame, where Acosta reportedly asked the public to refrain from prejudging the former's guilt. The PAO chief said Sergio has a lot of explaining to do and it's very important to get her side, considering that she could also be a victim of poverty. "Bahay nila barong-barong, mahihirap lang din sila sa Cabanatuan," she told reporters. Is Sergio really living in a makeshift dwelling like a hut or shanty? Acosta's office should check Mary Cristine Gulles Pasadilla's Facebook profile. Some netizens said she's been traveling back and forth to Malaysia and Singapore.